Full-Colour Barcode wristbands feature customisable, printed bar codes and/or variable data for use with your bar code software system. Our full-colour bar code wristbands have a superior print finish, and will add a touch of glamour to your event. Glossy finish! Water and fade-resistant up to 2 weeks ! 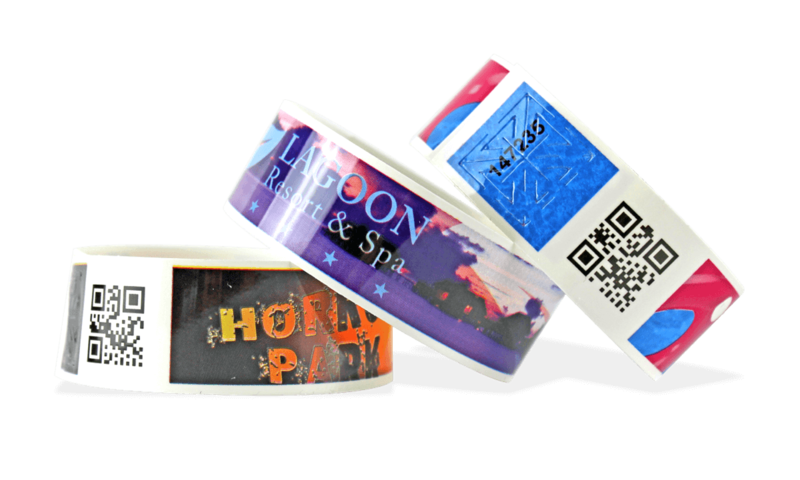 Full-Colour bar code wristbands are not transferable "wrist-tickets" that provide the convenience of an admission ticket without the risk or hassle of it getting lost, misplaced, or transferred.